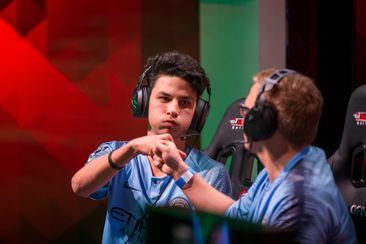 We’re at the mid-way stage of the Gfinity Elite Series Delivered by Domino’s, and there’s everything to play for in FIFA 19. With some great match-ups on the schedule, Week 5 promised much and delivered a stunning weekend of action at the Gfinity Esports Arena! Despite a shaky start, Dream Team took the lead in their clash with Method as after soaking up some early pressure, they went on the counter-attack. Some silky passing ended with Mirsolav Klose feeding Antoine Griezmann, who fired a rocket of a shot in from the edge of the area. The goal came against the run of play, and Method continued to play the better football as the game went on, but they were sucker-punched at the start of the second half when Griezmann and Klose teamed-up again with the Frenchman floating in a beautiful ball for Klose to hit home. Chasing the game, Method left more space at the back and Dream Team eventually found a third, Griezmann again putting across a cross and Klose heading home to complete a beautiful team goal. Method pulled one back late on through Luis Figo, and for a moment a great fightback seemed on, but Dream Team hung on to claim a 3-1 win. The PS4 leg witnessed a resurgent Method who took the lead midway through the first half when Luis Figo took advantage of dreadful defending to find the back of the net. Some beautiful interplay between Pavel Nedved and George Best then teed up Patrick Kluivert for a header that made it 2-0. Griezmann and Klose again teamed up on the hour mark to bring Dream Team back into it, but just ten minutes later some woeful defending allowed Kluivert to weave his way into the box and feed Best, who restored the two-goal lead. There was no going back for Dream Team now, and Method saw out the rest of the game to claim their 3-1 win. exceL and Vitality were up next, and a goal came from the first chance of the game, with some beautiful play setting up Andriy Shevchenko for a stunning strike. No sooner had the game restarted than there another chance, with Eusebio stepping up to take a disputed penalty. The strike was low and to the left, and Peter Schmeichel made a comfortable save. The teams went into half-time at 1-0, but exceL started the second half the brighter with Kevin De Bruyne slotting through a beautiful ball for Eusebio to poke home and make up for his earlier miss. With both sides desperate for a win, the rest of the match was an even affair, but exceL always had the measure of their opponents and saw out a 2-0 win. 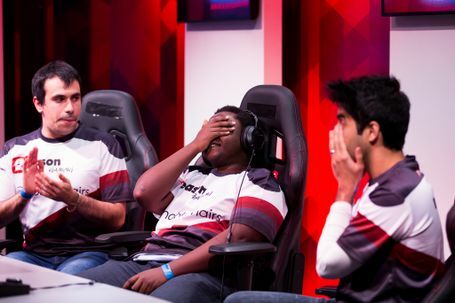 Fortunes were reversed in the PS4 leg as Vitality took the lead 22 minutes in. Some fancy footwork from Luis Hernandez allowed him to find some space on the edge of the area and curl a stunning shot around the keeper and into the net. Vitality were much the better side throughout, and they doubled their lead in the 40th minute when Crespo was brought down in the box with Ronaldo slotting home from the spot. Things went from bad to worse for exceL minutes after the restart when some terrible defending left Cristiano Ronaldo with a simple chance to make it 2-0. The Portuguese legend was on fire and added his third and his team’s fourth on 62 minutes when he raced onto a through ball and smashed home. exceL pulled one back through Paulo Dybala with 15 minutes left, but a comeback never seemed likely, and Vitality saw out a commanding 4-1 win. Man City Epsilon’s unbeaten record was put to a firm test in a tight and nervy encounter with Hashtag United. The first half of the first game captured much of what the tie as a whole would be. Epsilon had more possession and showed the greater intent, but neither side quite managed to carve out any chances of real note. The opening stages of the second half continued in much the same fashion, but Epsilon eventually took the lead on 58 minutes when Pierre-Emerick Aubameyang swung in a perfectly weighted cross for Kylian Mbappe to head home. Hashtag came out and tried to pile the pressure on, but Epsilon's solid backline held firm and in the dying moments, they saw out the win thanks to a second goal from Mbappe. The PS4 leg saw Epsilon utterly dominate. Hashtag hardly had a sniff at goal, and every time they got the ball, their opponents were closing them down, refusing to give them any space. Just like the first game though, there was no way past a solid Hashtag rearguard, and the teams went into the break level at 0-0. The opening stages of the second half saw a shock when Sadio Mane nodded home to make it 1-0 to Hashtag. Their unbeaten record on the line, Epsilon came out swinging and found an immediate response, with Ronaldinho scoring after some fancy footwork on the edge of the area. Hashtag had the best chances in the last moments of the match, with van Basten and Pele forcing stunning saves from Courtois, but the game finished a fair 1-1. The final match-up of the evening saw Fnatic take on Nordavind. It was another even match, but much more open than what came before it, as both sides had decent chances in the first half. It wasn't until the half-hour mark that the scoring was opened though, with Mohamed Salah firing home a beautiful volley from the edge of the area to make it 1-0 Fnatic. Maradona smashed a shot against the crossbar ten minutes into the second half as Nordavind threatened an equaliser, but Fnatic took control with 14 minutes to go through Raul. Nordavind made for a tense finale when Suarez pulled one back two minutes later, but they couldn't find that all-important equaliser and, despite plenty of pressure, Fnatic ran out 2-1 winners. The PS4 leg started in much more sedate fashion, with Nordavind struggling to find their flow up front. An unremarkable first half finished 0-0, but things livened up in the second period, with Petit forcing a spectacular save from De Gea for Nordavind and Fnatic hitting the crossbar. The goal was coming, and it was Fnatic who grabbed it when Hazard cut back for Raul to open the scoring on 71 minutes. Nordavind couldn't fight back, and Fnatic sealed a slender but deserved win. The weekend’s action meant that Epsilon have qualified for the semifinals with an incredible 20 points and yet to lose a game. Over in Group A, Method will be sweating as although they have 11 points and sit in second place, they have played all four of their fixtures and will have to wait for next week's results to see if they have done enough to qualify for the playoffs. Get your hands on free tickets for Week 6 of FIFA 19 in the Gfinity Elite Series Delivered by Domino’s right now! You can also watch all the action live on our site or over on Facebook from 18:00 GMT every Friday.